Packaging Dimensions 1.6 in. x 1.6 in. x 0.6 in. 1 answers Will this work for EHX Small Stone (1976)? Hi, this switch will work in any situation where a SPDT is needed. You will want to compare the physical dimensions of this switch with your current switch to insure a proper fit. 1 answers Hi, Will this switch work with my Dunlop Gcb95 ? 1 answers Is this switch latching or momentary? 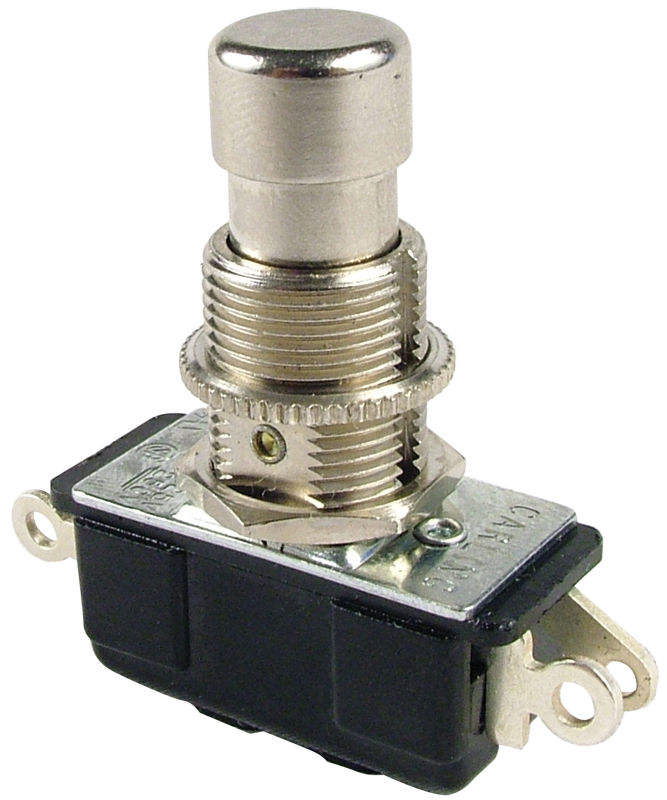 This is a latching footswitch. Great and heavy duty. Hold up to the heaviest of stomping.